What impact does vehicle noise have when you are driving? When we buy a car we rarely think about cabin noise as being a major consideration in the purchase decision. Unless the car is obviously noisy when we drive it we’re unlikely to think about it. In this article we’ll explain how we measure in-car noise, why it can damage your hearing, what causes in-car noise and, finally, how you can choose a quiet car. If you drive or ride a motorbike, van, ute, bus or truck, you will be exposed to greater noise levels. Some scientists and health agencies recommend earplugs while driving (especially when riding a motorbike). When vehicle manufacturers design cars they are constantly trying to reduce NVH – noise, vibration and harshness. This is primarily achieved using insulation, dampening, padding, glass type and picking the best tyre for the performance desired. 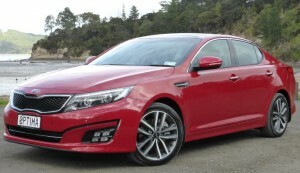 Take, for example, the 2014 Kia Optima. Kia touts that it has reduced cabin noise by 3.3dB over the previous model – that’s 3.3 decibels. 3dB is the threshold at which most people start to notice a change in sound, even though a 3dB decrease equates to a halving of sound energy. However, as noise is fatiguing (i.e. it makes you tired), 3dB over a longer journey matters. As we’ll see below, 3dB makes a huge difference to your ability to tolerate sound. To understand the relative noise levels let’s take a really quiet car versus a really loud car. Quiet cars tend to be large luxury diesels or hybrids while loud cars tend to be performance petrol-driven cars and smaller cars. Consequently a Jaguar XJ 3-litre diesel produces around 58dB at 100kph whereas a Porsche 911 GT3 RS produces 78dB at 100kph on a tarmac road. The cars were tested on the same road, so we know that the Porsche is 20dB louder than the Jaguar. Once you understand how decibels work you’ll realise that 20dB is a huge difference: decibels work on a logarithmic scale. A 9dB change is not three times a 3dB change, it’s more. Perceived volume doubles every 10dB, therefore 20dB means the sound doubles twice, i.e. it’s four times as loud, and it’s actually 100 times more intense. 78dB is four times as loud as 58dB. That would make a difference on a long journey. Our ears are designed to be able to cope with a certain amount of sound per day, and this is usually given as 85dB for 8 hours before hearing loss begins to occur. Every 3dB increase in noise halves the amount of time it takes for damage to occur. So, let’s say you drive a car that creates 70dB (this is a typical level for a car). You might also want to listen to music and if you don’t turn it up then some of the frequencies will be masked by noise. The total volume in your vehicle might be 90dB. If you are in a truck with music, it could be over 100dB. At 100dB you’ve got around 15 minutes before your ears will start experiencing some form of damage. These are the accepted standards for recommended permissible exposure duration for continuous time-weighted average noise, according to NIOSH and CDC. Unlike frogs, fish and birds, mammals do not regain their hearing once it’s lost, so it’s important that we choose a car that won’t contribute to the inevitable hearing loss we will suffer due to our very human habits of partying and listening to loud music. This is created by air flowing around the door seals, wing mirrors, windscreen wipers, engine bay and so on. Anywhere the wind is split and buffeted by an object creates noise and turbulence in the wind. If you are travelling headwind the relative wind noise will increase because your effective speed through the wind increases. Large wing mirrors, a roof rack, large panel gaps, and worn door seals will all increase noise. Road noise is the noise of the tyres as they cross the road surface. The road surface itself plays a huge part – rough tarmac and gravel will be much louder than smooth tarmac – but the type of tyre, the tread pattern and the tyres’ width also make a difference. Road noise is transmitted via the tyres into the suspension components and through the chassis into the car. The weather at the time will influence the road noise. If the road is wet it will generate more noise because the water needs to be displaced as you drive. The engine is a metal block that controls continuously exploding fuel. To an extent the noise is channeled out of the exhaust via the muffler (or silencer) which reduces the volume. However, there is still noise that escapes through the engine block and makes its way through the firewall (the metal between the engine and the cabin). There is also some noise that comes from the gearbox and differential. Component vibration in the cabin is a by-product of the vibration from the road surface and the engine manifest in the cabin. It is conductive noise. It could include rattling coins in an ashtray, door panels that aren’t effectively fastened to the door, etc. The main way to battle this is via better tyres. Your air conditioning fan will be noisy if on full. The stereo will be as loud as you want it to be. It’s fairly easy to exceed 110dB in a car stereo. How subjective is the noise, though? Our ears perceived different frequencies at different volumes. We hear frequencies around 1-2kHz louder than the same dB level of, for example, 100Hz. Many alarms operate in this 1-2kHz range as their volume becomes unbearable quicker at relative decibel levels. Therefore a car with a low rumble could seem quieter than a car with a slightly higher rumble, even though the actual decibel level is the same. What effect does noise have on your concentration? According to research by the National Institute for Occupational Safety and Health in the USA, ambient noise affects people’s health by increasing general stress levels and aggravating stress-related conditions. When you are driving you are exposed to a continual layer of ambient noise from the vehicle, and this could be having an effect on your blood pressure, digestion, and more. Our bodies don’t get used to it, either: contrary to how you would build muscle strength, continued exposure to noise doesn’t make us better at accepting noise. Much of in-vehicle noise is random white noise and several studies have indicated that stress resulting from this can induce the release of cortisol. This hormone helps restore homeostasis in the body after a bad experience, but an excess of it hampers your prefrontal cortext which is the part of our brain that regulates planning, reasoning and impulse control. Noise can make you angry. The prefrontal cortex possibly also stores short-term memories, therefore continued exposure to noise could disrupt a person’s ability to think clearly. Recent research also points to noise decreasing dopamine and that means your brain can’t control information flow as effectively. Basically, excess noise has the same effect as being hit repeatedly on the head. We’ll go through all the things you can consider when purchasing car. It’s often difficult to find out exact figures for cabin noise, and you should remember that if the vehicle has different tyres from those that it had when it was measured, the noise could be several dB different. people expect a sports car to sound sporty, so there is less emphasis on sound deadening and more emphasis on tuning the sound for the best aural experience. Luxury cars generally attempt to be quieter. However, you will pay for the privilege. Family cars try to find a balance between practicality and performance and may or may not be quiet, depending on the manufacturer. Usually a station wagon will be noisier than a sedan because the sound from the rear wheels can be transmitted into the cabin more effectively without being constrained within the boot. The large space in the back can result in resonances. Usually an SUV or ute will be noisier than a car. This is often due to a larger engine and more wind resistance from the large, squarer body. Utes often have less sound deadening than cars. Expensive SUVs tend to be better than cheaper SUVs. The series of vehicle can make a big difference in the noise quality. For example, all cars built on the same platform should have similar noise characteristics, but buying an older version of the car will almost certainly mean it’s noisier. The coefficient of drag is a good indicator to look for. The more streamlined the car, the less likely it is to make wind noise. A better coefficient of drag (Cd) also would imply that the vehicle might have superior fuel economy; the quest by car manufacturers to get the best fuel economy has also resulted in quieter cars because windows are now flush-mounted, and there are less external elements to cause turbulence. A fully electric engine will be the quietest. You could consider something like a Nissan Leaf. A hybrid is the next best option as many of the newer ones will run solely on battery up to urban speeds and higher. You could consider a Toyota Prius. Large capacity diesels which can perform well at low rev ranges without being strained are usually the next best option. However, the type of car matters as if you choose a diesel in a Toyota Hilux, expect it to be extremely noisy compared to a diesel in a BMW 7 Series. Bear in mind that diesel engines can often be noisier at idle and low speeds than petrol engines and come into their own at higher speeds when the engine revs are relatively lower. Laminated windows, where there are two layers of glass with a plastic resin between, offer superior sound deadening than non-laminated windows. Vehicles with a subframe are often quieter than a unit-body constructed vehicle. This is because the subframe can be isolated from the car’s chassis using rubber bushings that absorb vibration. The carpets are the most visible layer of sound proofing, but under those is often deadening material. You can purchase third-party deadening material, too. Bear in mind that these add weight to the car. Door seals should also be considered as important in blocking sound from outside. Tyres are the easiest thing to change to reduce noise. There are many sources online giving relative sound levels for different tyres on different surfaces, including a European Union rating system for tyre noise. Bear in mind our coarse road surfaces in New Zealand will undoubtedly mean that tyre noise is greater here than it is on the smooth surfaces of Europe’s roads. Generally the narrower the tyres and the higher the aspect ratio (i.e. the taller the sidewalls in relation to the size of the alloys), the quieter the tyres are. 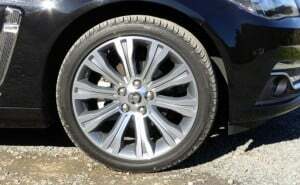 Therefore, 265-width tyres on 19-inch wheels will be noisier, all things equal, than 205-width tyres on 16-inch wheels. Tyres also have ratings for speed. For example, a Z-rated tyre is good for 300kph and will therefore be sturdier than a V-rated tyre which is good for 240kph. 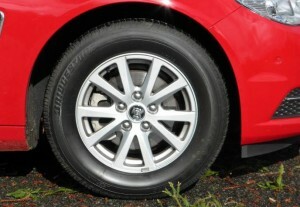 The Z-rated tyre is likely to be noisier. Softer rubber will tend to be quieter than harder rubber, but will wear out more quickly. Seeing as tyres are the most important factor in road noise, check out our article on caring for your tyres here. ‹ What motorbikes can you ride as a learner rider?